If you have a slow computer that freezes up often or has many viruses, you can completely erase Windows and install Linux instead. Linux is a free, open-source operating system that runs on a variety of hardware and is compatible with many applications. There are not as many programs for Linux as there are for Windows or Mac, but if the alternative is throwing your slow computer away, this method will at least save it. Linux can also operate on very old or slow computers with minimal specifications… Even a computer with Windows 98 and less than 512 MB of RAM will do. The first step to removing Windows and installing Linux is to make sure you have all the supplies. You will need a computer with a wired Internet connection (if it is a laptop, you can use the wire temporarily), either a CD or DVD (if your computer can write/read them) that is 700 MB or larger in size, and about an hour for the download to complete. The flavor of Linux we will be downloading is called Ubuntu and the file size is about 700 MB. The computer you are installing Linux on will only need to read CDs or DVDs, as long as you have another computer in the house that can write (burn) CDs and DVDs. If you don’t have a computer that can write (burn) CDs, then you will need to buy the newest version of Ubuntu either from their website or on eBay. Now you will need to download Ubuntu. Remember that you do not need to download Ubuntu on the computer you want to install Linux on. If that computer is too slow, doesn’t have enough hard drive space, or cannot burn CDs or DVDs, you will need to download it on a capable computer. You can do this by going to http://www.ubuntu.com/. Before downloading the program, you will need to select 32-bit or 64-bit. Most old computers run with 32-bit processors, but you can figure out what your computer is running by going to the System menu inside of Control Panel. 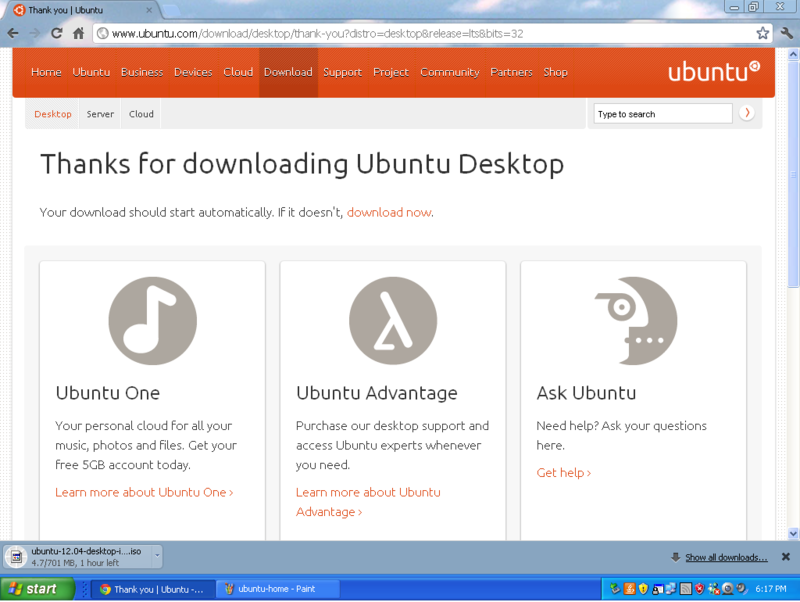 Make sure you download the desktop version of Ubuntu. When it’s downloading, it should be about 700 MB in size and it should be a .iso file. If it is not .iso, you are downloading the wrong thing. After the file has downloaded, you will need to download a program called InfraRecorder. This program will allow you to burn the .iso file to the disk properly. Please note that you must use InfraRecorder to do this. Simply dragging the .iso file to the disk and hitting burn will not do the trick. Insert a blank CD or DVD into your disk drive. Open InfraRecorder and go to Actions > Burn Image in the menu bar. You will need to select the .iso file that you just downloaded. InfraRecorder will now burn the disk image to the CD or DVD. Remember that if you are burning Ubuntu to a DVD, the computer you want to install Linux on will need to be able to read DVDs. If you are burning it to a CD, it needs to be large enough for the .iso file to fit. If the computer you want to install Linux on has a non-working disk drive, you will need to purchase an Ubuntu flash drive from a vendor on eBay. Follow the instructions and enter things such as language, time zone, username, and password. At the partition screen, you will need to choose to install Ubuntu on the entire hard drive. If you do not do this, it will not uninstall Windows and you will end up having both Linux and Windows on your computer. After you complete these simple steps, your computer should now be 100% Linux. If you ever want to go back to using Windows, you will need to purchase a brand new copy of Windows either online or at your local electronics store. The CD or DVD that you burned can be used on as many computers as you want, but make sure that the processor matches up with the disc you made. For example, if you burned the 32-bit version onto the disc, make sure the computer you want to install it on is 32-bit. If it’s 64-bit, restart this process, but download the 64-bit version of Ubuntu instead. Yes, I’ve heard from an IT consultant that Linux is significantly better than Windows. 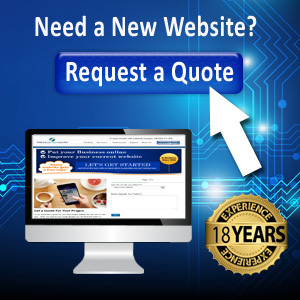 It’s has stability and we are free from spyware, viruses and other annoying problems. So, I think I will make the change most likely, because now I’m working on Windows, but I’ve faced with so many things that I had enough. My normal machine that I use is a Mac, but I have started to like Ubuntu Linux lately. It’s cool that almost every aspect is customizable to what you want… Kind of like Android. Many people don’t know about any alternative to Windows. This option is a bios one, but what if want to speed up your slow computer and keep windows? Is there any idea on how to do that? it can help a lot of people who experienced slow computer like me. My computer maybe has a lot of virus. I have limited time with linux andI agree that its faster than linux. Nice Post! Linux is indeed very fast and can even be used on any old desktop too.